Mek (Marantz Electronics) is an industry leader in Automatic Optical Inspection (AOI) and Solder Paste Inspection (SPI) solutions. 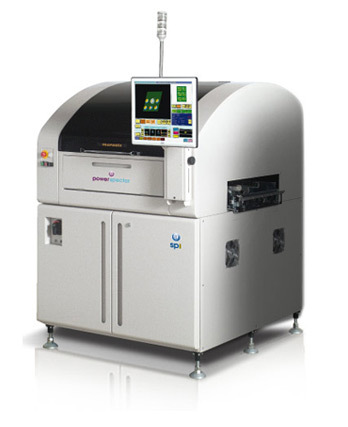 With over 7000 AOI machines in use worldwide, our 24-bit imaging technology is driving powerful process control and maximum production yield for Mek electronics assembly and microelectronics customers everywhere. The first Mek system was actually developed for its own use back in 1994, but such was the success of the product internally that it was developed into the iSpector AOI for external release in 1996. Since this time the range has expanded with innovative desktop AOI, inline AOI and full 3D systems. Right from the start Mek has carried the conviction that the key to a successful process was to accurately monitor it at the key stages. While the rest of industry waited to see the impact that AOI would make, Mek was at the forefront of developing the technology that made non-contact inspection both accurate and meaningful, and AOI consequently became an important tool for inspecting loaded PCBs. Then, in late 2009, Mek introduced the industry’s first 5D post-print solder paste inspection (SPI) technology. With so many defects being traceable back to solder printing errors, using an SPI system to identify these errors at the beginning of the process can boost yield and reduce rework. With the introduction of this machine, Mek’s electronics assemblers could now catch faults at the two most critical stages in the production process – post printing and post soldering. Most recently Mek has adapted its AOI technology to create a Machine Vision System, SpiderEye, for the automated inspection and identification of moving objects.